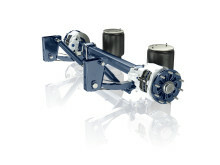 The BPW air suspension Airlight II is now available for swap body and jumbo trailers as well. Wiehl, 16.10.2017 --- BPW Bergische Achsen KG has further refined the modular air suspension Airlight II and significantly extended its range of applications. With immediate effect, jumbo and swap body trailers, which call for a large spring deflection range, can be equipped with the product. BPW is supporting the continuing trend towards swap body and jumbo trailers with lightweight running gear systems. 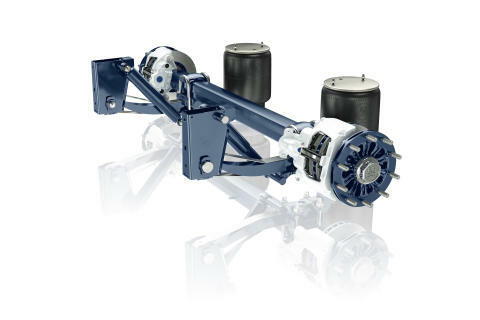 Depending on the version, the air suspension Airlight II can reduce the weight of three-axle units by as much as 150 kilograms – compared with customary running gear systems. Another advantage of the Airlight II lies in its modular design, which facilitates and accelerates both installation and servicing. In addition, BPW grants its 5+3-year ECO Plus Warranty, giving operators at least eight years of security as regards the suspension. The warranty is valid for unlimited mileage throughout Europe and includes three years of cover for other components, such as brake cylinders, shock absorbers and air bags. 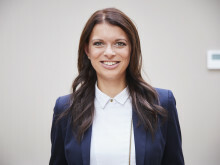 In view of the boom in online retailing in particular, and the associated rise in parcel deliveries, annual sales of swap body trailers are currently growing at double-digit rates. Demand for jumbo trailers is likewise increasing continuously thanks to productivity increases in the automotive manufacturing and supply industries.